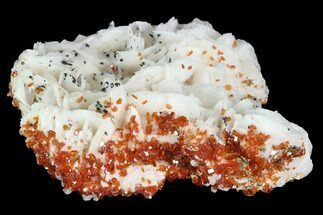 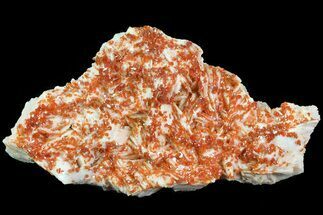 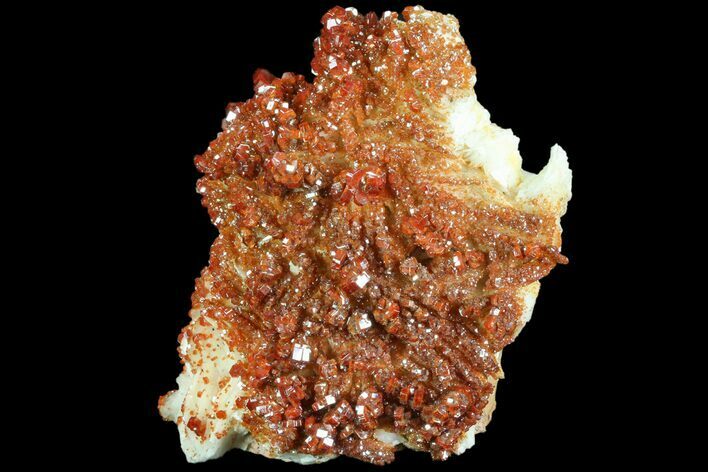 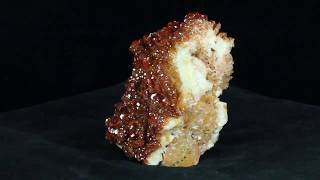 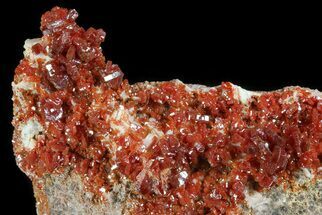 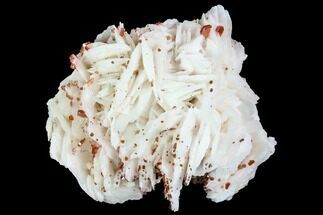 This is a large, cabinet sized, specimen of ruby red, vanadanite crystals on a bed of pink, bladed barite from Mibladen, Morocco. 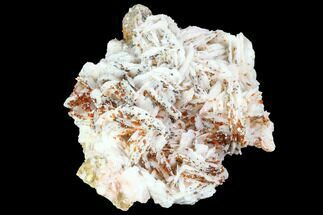 The crystals have great color, are extremely lustrous and are free of damage. 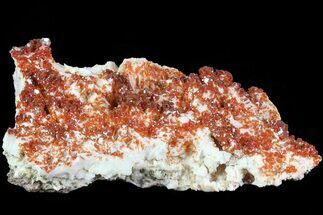 There are crystals on several sides of this specimen and this top quality specimen displays nicely in several different orientations.